We are actively devoted towards manufacturing, trading, exporting, importing and supplying of a quality approved Raw Rice Sorting Machine. 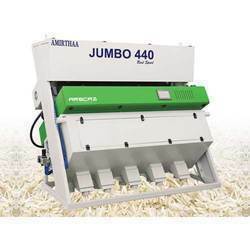 Used in grain processing, this sorting machine is available in varied models and specifications as per the needs of the clients. 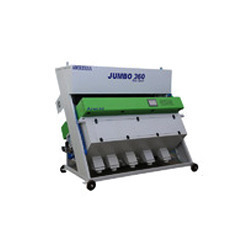 The provided sorting machine is high on demand in the market due to its easy to use. Moreover, this sorting machine is manufactured using optimum quality components and advanced technology. To retain our goodwill in clients' consideration, we manufacture, trade, export, import and supply optimum quality Rice Sorting Machine. Our offered sorting machine is precisely designed using advanced technology and premium quality components. The provided sorting machine is highly appreciated by the clients for its various quality features like high efficiency. Help in increasing and improving the productivity content to a great extent, this sorting machine is tested against various quality measures. 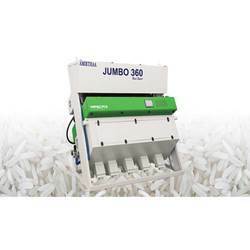 Looking for Rice Sorting Machine ?